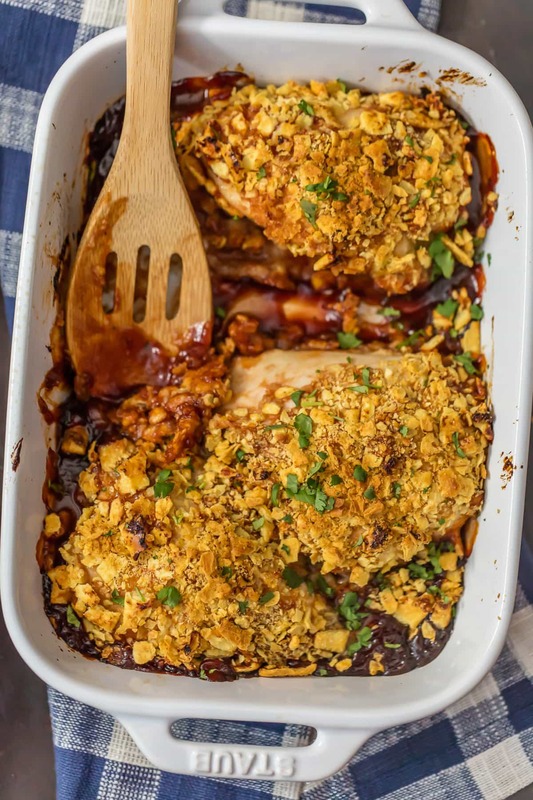 Baked BBQ Chicken Breast makes for an easy and delicious dinner! This CRISPY WHITE CHEDDAR BAKED BBQ CHICKEN only has 3 ingredients, but it’s filled with so much flavor. 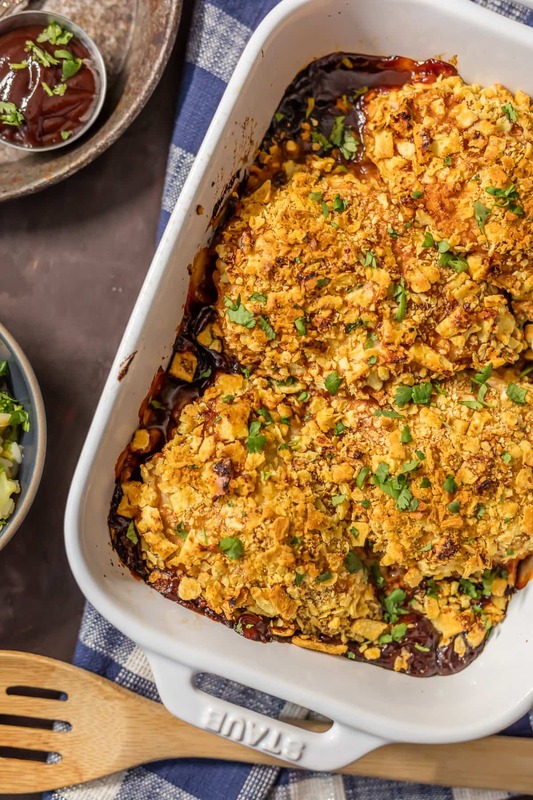 Baked chicken is so simple to make and sure to please the entire family. 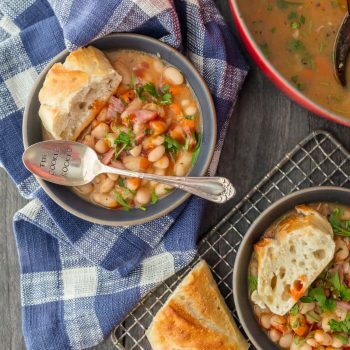 This is our go-to easy dinner recipe! 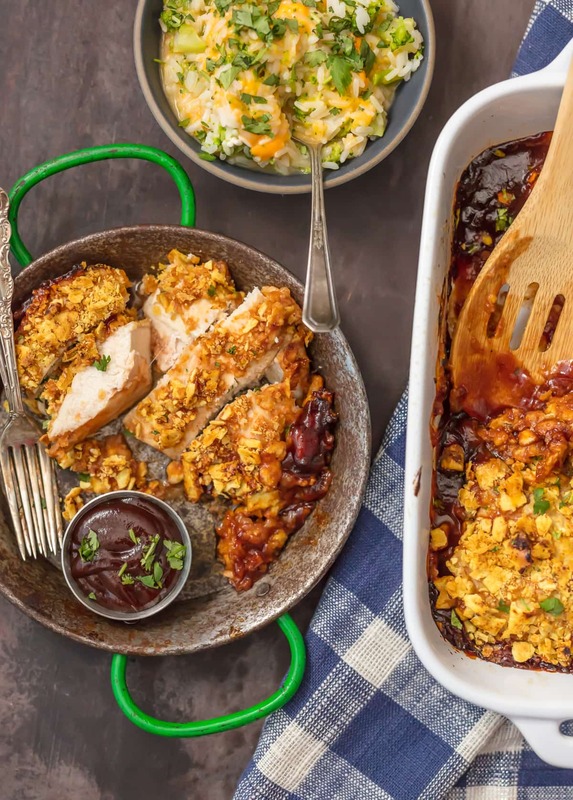 Baked BBQ Chicken Breast is one of the simplest dinners to make, but it’s also the tastiest. This 3 ingredient Crispy BBQ White Cheddar Baked Chicken recipe is the perfect easy dinner recipe! 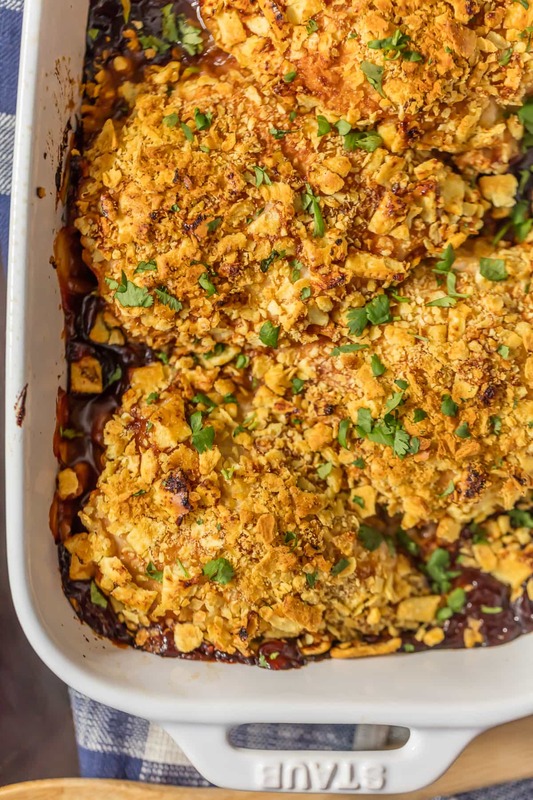 This Baked BBQ Chicken recipe is the kind of dinner that I started The Cookie Rookie to find. I didn’t know how to cook A SINGLE THING back then, but I knew it had to be easier than I imagined. We definitely have some recipes on the site with a long list of ingredients and lots of prep work, but this isn’t one of them! 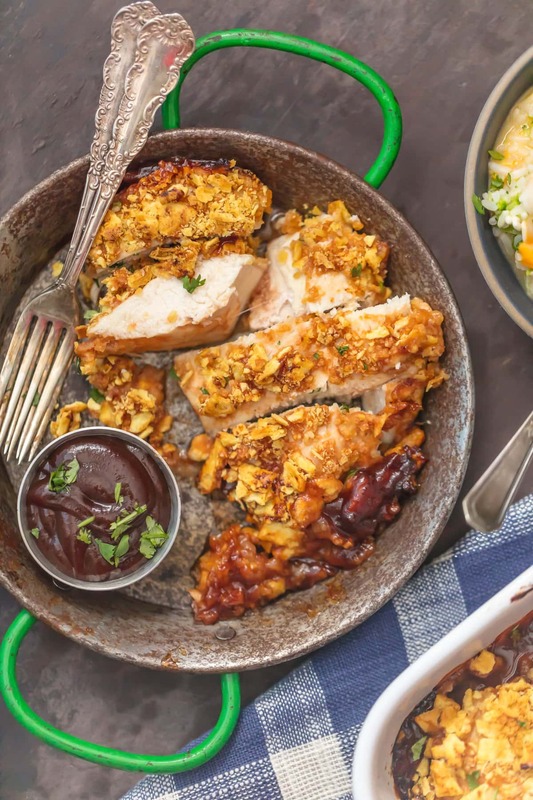 Our Crispy White Cheddar Baked BBQ Chicken Breast recipe only has THREE INGREDIENTS, but it’s filled with so much flavor. You can make this baled chicken recipe in minutes, and have the perfect dinner ready for your family. It’s just incredibly simple and fun, which is right up my alley. This is the kind of recipe I wish I would have known about when I was in my 20’s and avoiding cooking at all costs. Just because a recipe is super easy doesn’t make it any less yummy. 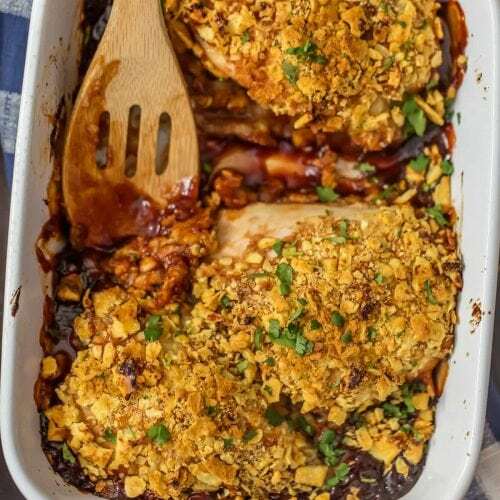 This easy baked bbq chicken recipe is for all the busy families out there, or all the single people that need quick food before they get back on the go. And it’s so good! This Crispy White Cheddar Baked BBQ Chicken Breast recipe only has 3 ingredients! I can’t think of an easier or more delicious chicken recipe to make for dinner every night of the week. This White Cheddar Baked BBQ Chicken came about on one of those nights where we had no food in the house and it was a discussion of having cereal, a bagel, or ordering pizza for dinner. I looked over to the coffee table and saw the Cheez-its sitting there, and a light bulb went off…There was some chicken breast in the freezer and bbq sauce in the fridge, and with that I knew we could be in business with just a little creativity. And the result was FAB! This Baked BBQ Chicken was an instant favorite. Instant being the key word. This isn’t sponsored or anything, I just thought it was worth sharing. We loved the final result! Baked Chicken recipes are my FAVORITE. They’re easy, they’re delicious, and there are endless possibilities for new variations. This White Cheddar Baked BBQ Chicken Breast recipe is now one of the best because it was so darn easy! I love being able to share simple recipes (only 3 ingredients!!!) with you guys, just to prove how easy cooking can be. 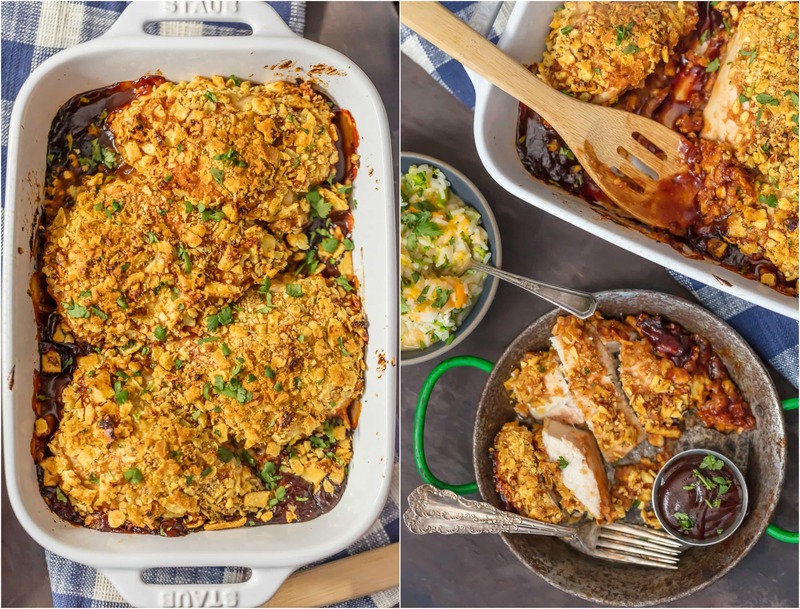 Check out our full Baked Chicken Guide for more EASY baked chicken recipes! This Crispy White Cheddar Baked BBQ Chicken Breast recipe is beyond easy. Like I said earlier, I literally pulled together the only 3 ingredients I could come up with in my kitchen and threw them together to create this delicious recipe. Who knew Cheez-its and chicken would be so yummy? That’s it! Serve it with rice, vegetables, or even on it’s own for a simple dinner. See the recipe card for full instructions. 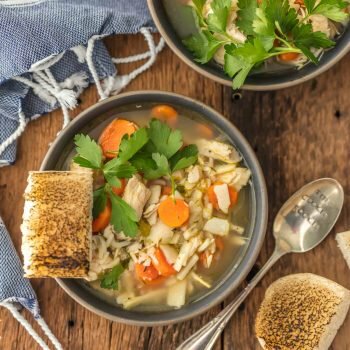 If you love simple recipes sure to please both kids adults alike, then this recipe is definitely for you. White Cheddar Baked BBQ Chicken for the WIN! See the recipe card below for details on how to make White Cheddar Baked BBQ Chicken. Enjoy! 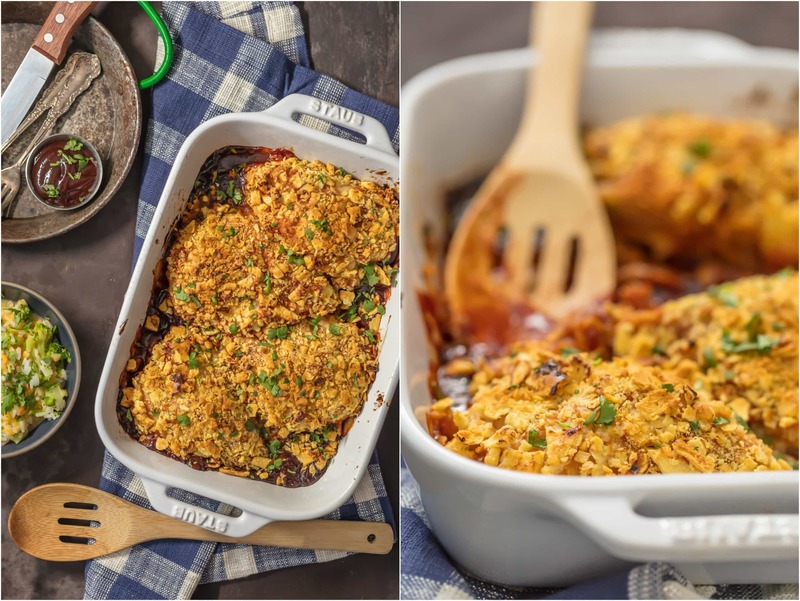 Baked BBQ Chicken Breast makes for an easy and delicious dinner! This CRISPY WHITE CHEDDAR BAKED BBQ CHICKEN only has 3 ingredients, but it's filled with so much flavor. Baked chicken is so simple to make and sure to please the entire family. This is our go-to easy dinner recipe! Place cheez-its in a large ziplock back and seal. Crush using your hands until finely crushed. Pour into a shallow bowl and set aside. Pour the remaining 1 cup bbq sauce into a separate shallow dish. Start by dipping each chicken breast into the bbq sauce, patting down both sides to make sure its completely covered. Dip the bbq chicken into the bowl with cheez-its and completely cover both sides. Use your fingers to pat down the crackers into each piece of chicken. Place each covered chicken breast into the casserole dish. Bake, covered with foil, for 30 minutes, and then remove cover and continue cooking for another 15 minutes. Be sure to check the chicken for doneness before removing from the oven. When white throughout, it's done! Serve on its own or with rice. Enjoy! **NOTE: the BBQ sauce at the bottom of the baking dish is optional. It does make the bottom of the chicken a bit soggy. We liked the extra sauce (especially Pat), but it would be good either way. If you leave the extra sauce out, just serve with a bit of bbq sauce for dipping. So tempted to have some of that right now. That looks marvelous! Thank you so Much for sharing this. Thank you! Means a lot that you stopped by. Terrific recipe Becky! I bet the chicken is super tender and the flavors absolutely perfect. Have a great weekend! Thank you so much Tricia! I Love recipes like this. It looks way fancier than just three ingredients’ worth!